We offer a wide selection of sturdy, long-lasting and easy-to-use aluminum rod kits shotguns rifles, shotguns or pistols in several versions for specific calibers or gauges. Universal kits that cover all types of firearms. 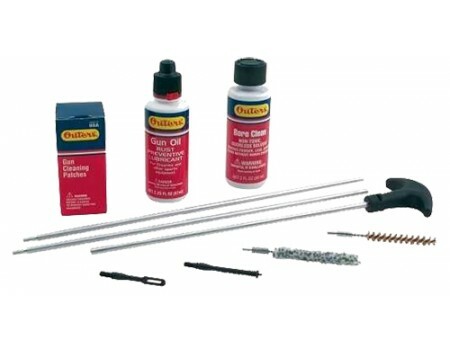 Kit contains- Lightweight cleaning rod, .22/270-cal slotted batch loop, .22/243-cal spear pointed jag, 30-cal slotted patch loop, 30-cal spear pointed jag,all gauge slotted patch loop, rod adaptor, micro-fiber absorbent patches, Nitro Solvent Gun Cleaner 2oz bottle and Gun Oil 2oz bottle.